Are you a dog lover? 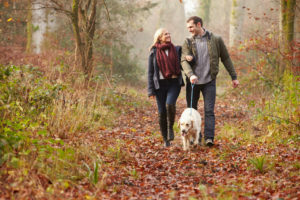 We know that April has been designated as Active Dog month and with dog friendly accommodation and our Marley and Me package already creating quite a lot of interest we decided to give you the top 5 doggy activities to do at Belle – Isle and Fermanagh. Belle-Isle Trails – two estate trails free to walk your dog in and exclusively accessible to Belle Isle residents. Belle-Isle Swim – if your dog is a water baby then you need to bring him for a swim. Lough Navar Uphill Jaunt – perfect if your pooch is high on energy. Castle Caldwell Forest Walk – for the inquisitive dog that likes to explore. Castle Archdale Forest Walk – a great destination for the entire family including the dog.